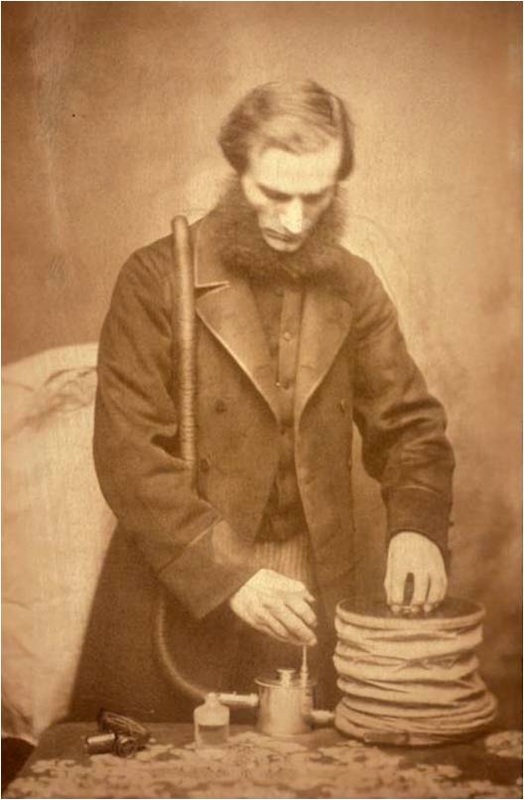 John Snow had suggested that "The most exact way to exhibit chloroform to a patient is to introduce a measured quantity into a bag or balloon of known size and then to fit it up by means of bellows, and allow the patient to inhale from it, the expired air being prevented from returning into the balloon by one of the valves in the facepiece to which it was attached...I did not try it...as the balloon would sometimes have been in the way of the surgeon, and filling the bellows would have occasioned a little trouble." (1) Snow never pursued this idea clinically but, four years after Snow's death, Joseph Clover developed the concept further. 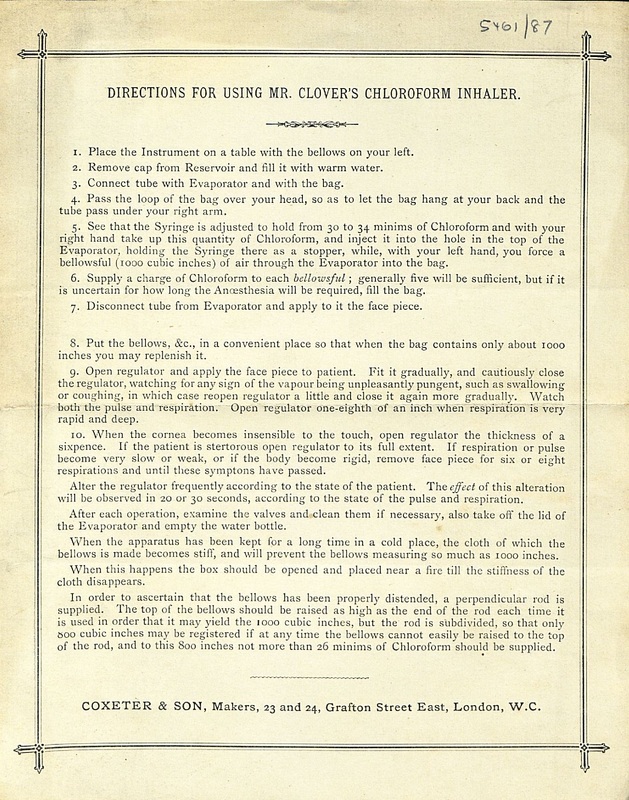 Clover's apparatus overcame the problems by having a very large bag which could be hung over the back of the administrator and which was unlikely to need refilling during an operation. Clover demonstrated this apparatus at the International Exhibition of London in 1862. On the Administration of Chloroform in Dental Operations. 1. Snow J. 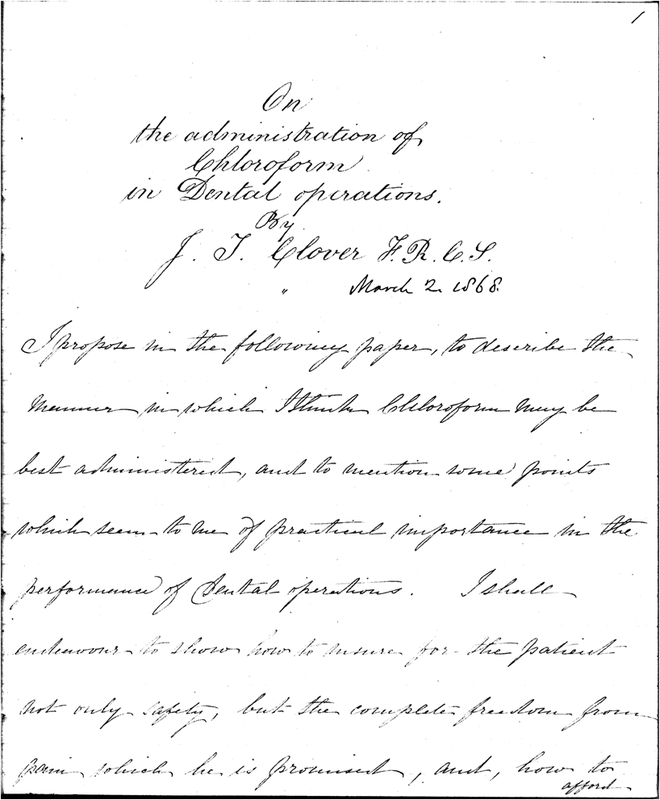 On chloroform and other anaesthetics:their action and administration. Benjamin.W.Richardson, editor. London: John Churchill; 1858. 2. Clover JT. 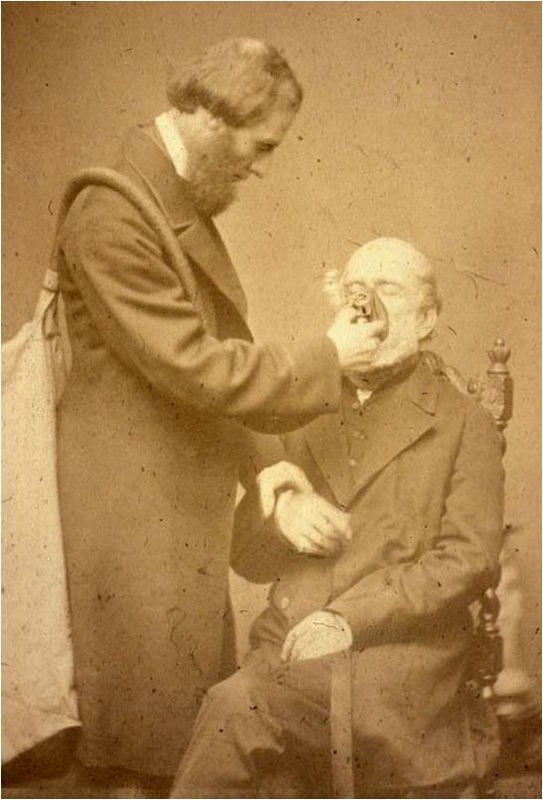 On the Administration of Chloroform in Dental Operations. British Journal of Dental Science. 1868;ii:125-41.